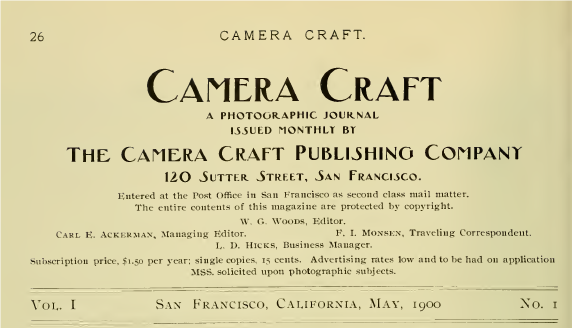 Camera Craft was an American magazine edited by Fayette J. Clute of the Camera Craft Publishing Co. in San Francisco. Its content was about practical photography. 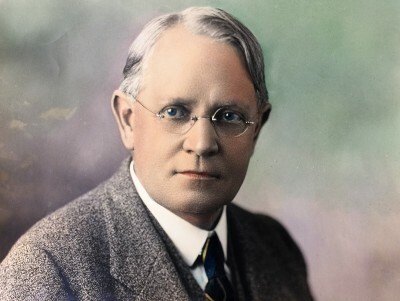 Many articles were illustrated with photos. Each issue contained a photographic art print. The International Photographic Association made its announcements on a few pages of each issue. The magazine began publication with v. 1, no. 1, May 1900 issue and ceased publication with v. 49, no. 3, Mar. 1942 issue, when it was absorbed by American Photography magazine.